Ira Kaplan has served on the Board of Directors of Furniture Brands International (NYSE: FBN) since May 2008. Mr. Kaplan serves as the Board’s Audit Committee Chairman. Furniture Brands International is a global operating company that is one of the nation’s leading designers, manufacturers and retailers of home furnishings. It markets through a wide range of retail channels from mass merchant stores to single-brand and independent dealers to specialized interior designers. Furniture Brands serves its customers through some of the best known and most respected brands in the furniture industry including Broyhill, Lane, Thomasville, Drexel Heritage, Pearson, Hickory Chair, Laneventure and Maitland-Smith. 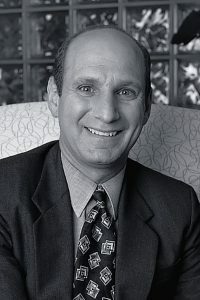 Mr. Kaplan served as Chief Financial Officer of Claire’s Stores, Inc. from 1990 to 2008 (retiring April 2008) and served as a member of the Board of Directors until Claire’s was acquired in May 2007. He joined Claire’s Stores in 1987 and served in various financial capacities until 1990. He was a key member of Claire’s Stores’ Strategic Planning Committee which was responsible for the formulation of the company’s short and long-term strategies to drive its internal growth and its domestic and international expansion. Mr. Kaplan was responsible for formulating and implementing financial practices designed to ensure the continued financial strength of Claire’s Stores which grew sales at an annual rate of 15% to $1.5 billion during Mr. Kaplan’s 20 years at the company. Claire’s Stores is one of the world’s leading retailers of fashionable accessories and jewelry at affordable prices for young women, teens, tweens, and young girls. The company operates through its two store concepts: Claire’s and Icing. While the latter operates only in North America, Claire’s operates worldwide. Claire’s Stores, Inc. operates almost 3,000 stores in North America and Europe. The company also franchised or licensed approximately 400 stores in Japan, the Middle East, Turkey, Russia, South Africa, Greece, Guatemala and Malta. Claire’s Stores was acquired by private equity firm Apollo Management L.P. for $3.1 billion on May 29, 2007. From 1982 to 1987, Mr. Kaplan practiced at Peat Marwick (now KPMG) where his clients engaged in a variety of industries including real estate, retailing, manufacturing, leisure activities and publishing.